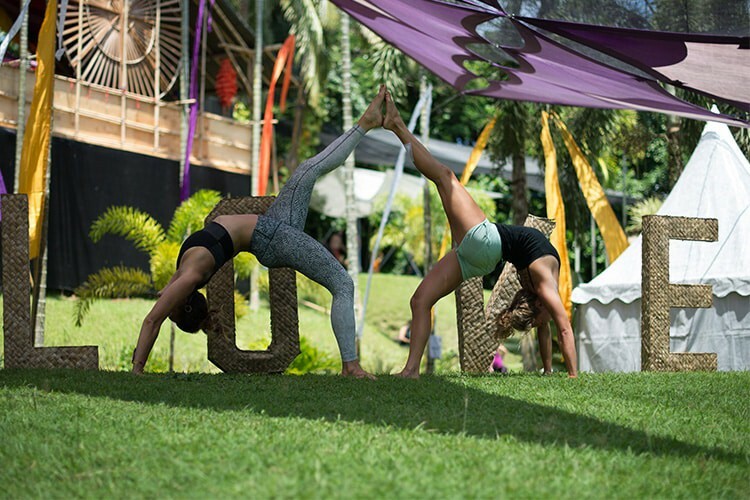 The Bali Spirit Festival is a fun festival that brings together yoga, music and dance into one fun event. 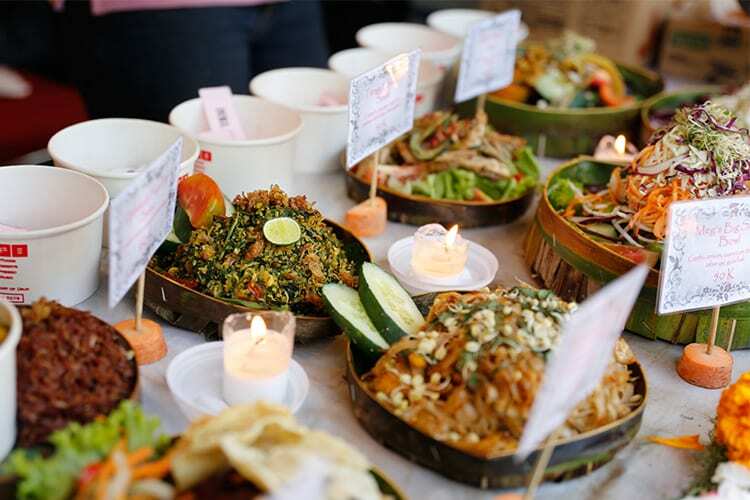 Held in Ubud each year, this event has grown over the years, so much so that it attracts thousands of visitors from all over the world. 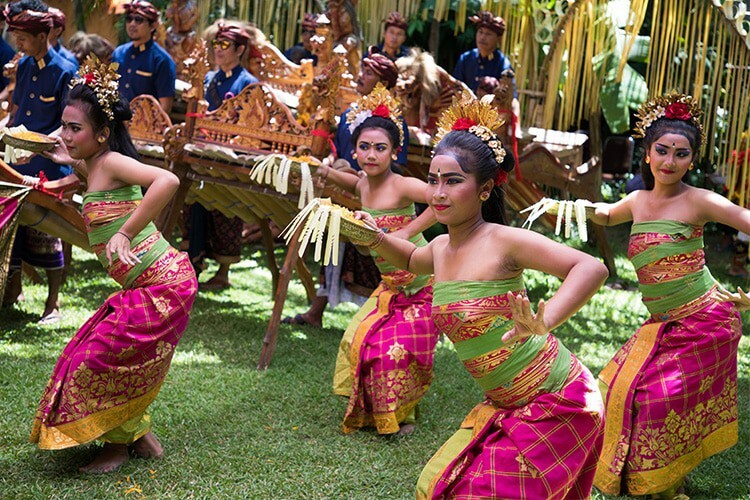 The energetic Bali Spirit Festival is held at different venues in the town of Ubud which is located in the centre of Bali Island. 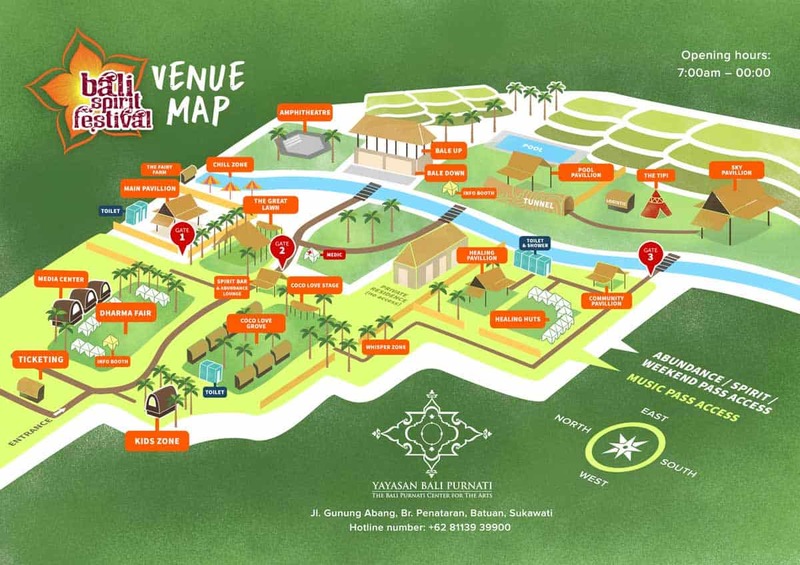 One of the main venues will be the Bhanuswari Resort which is located just 30 minutes drive to the East of central Ubud, surrounded by lush green rice fields. 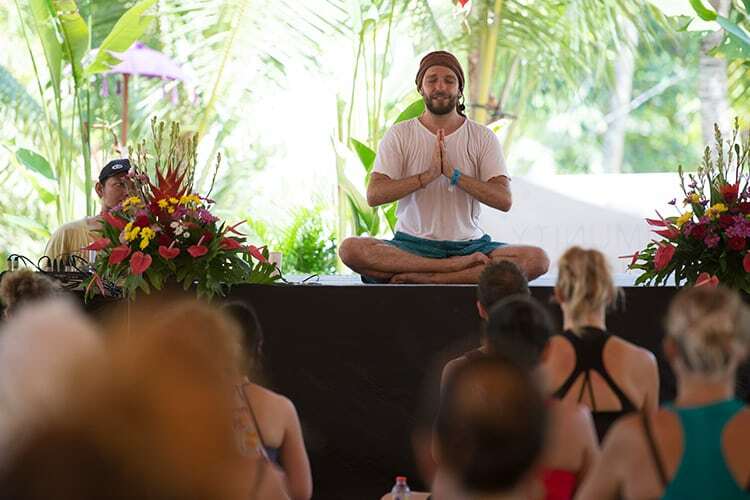 During the day, there are heaps of activities scheduled including yoga workshops, traditional Balinese performances, Bhakti Music, Kirtan, Capoeira, meditation, sound healing and ecstatic dance. You can also take part in some of the information seminars which focus on health, nutrition, self-help and Vedic astrology, just to name a few. 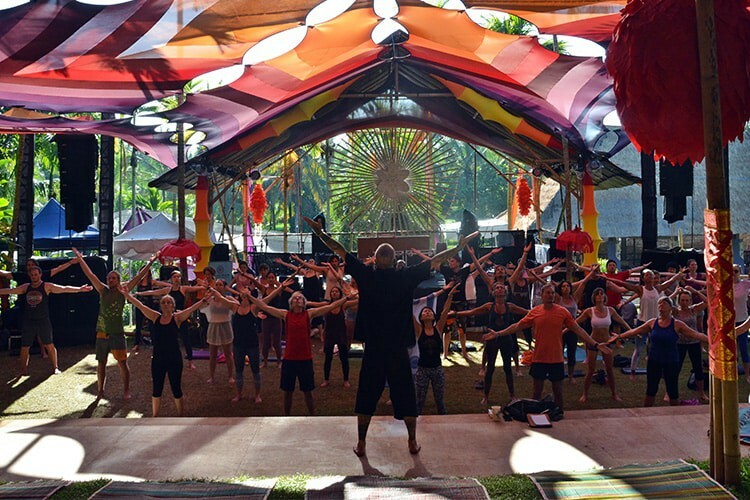 You can take part in any of the yoga workshops, bring your own mat if you are able however there will be a limited number of yoga mats are available for sale at the festival venue. 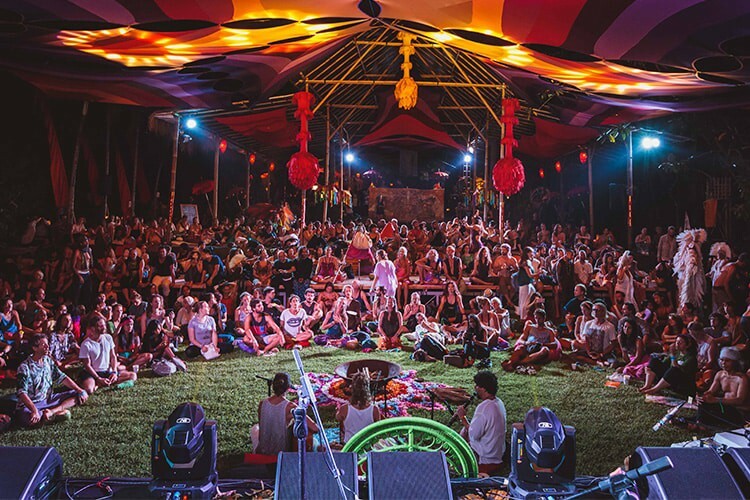 At night time, there will be music concerts with a huge line up of acts including traditional Balinese music, DJ’s and electronic music. 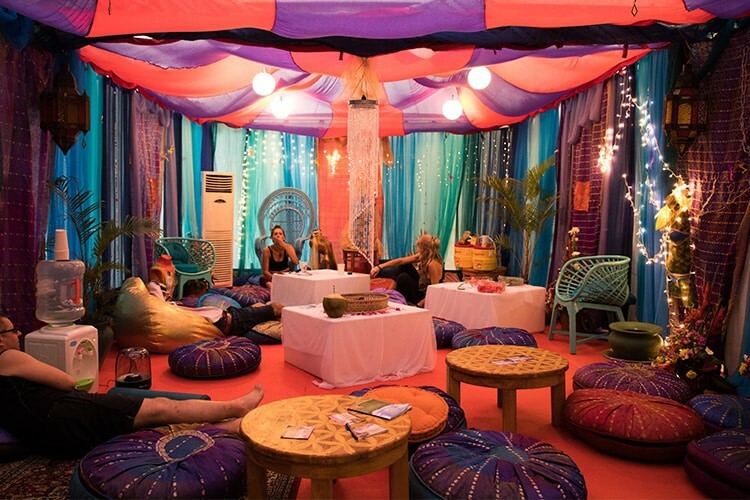 For kids, there will be arts and crafts, dance and music workshops, storytelling plus so much. Most materials are provided so the kids don’t have to bring anything. The festival will also kick off with a Community Day (also named Family Day). 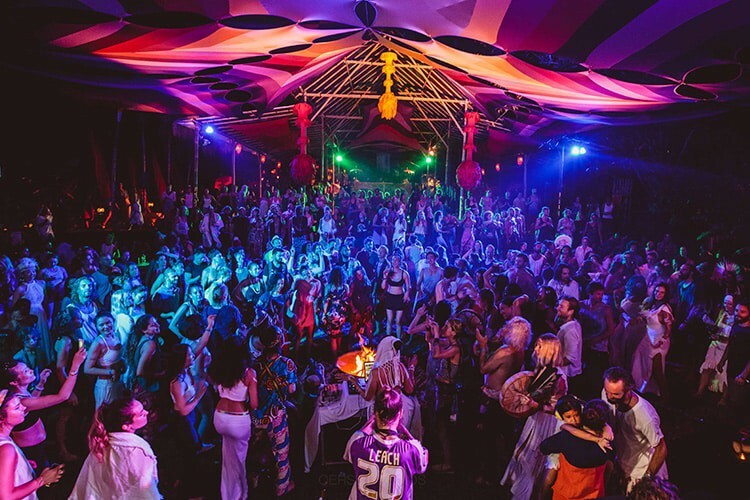 Here, you will find classes, performances and workshops for families and children with all proceeds funding the festival Outreach Programs – AYO! Kita Bicara HIV & AIDS and Bali ReGreen. 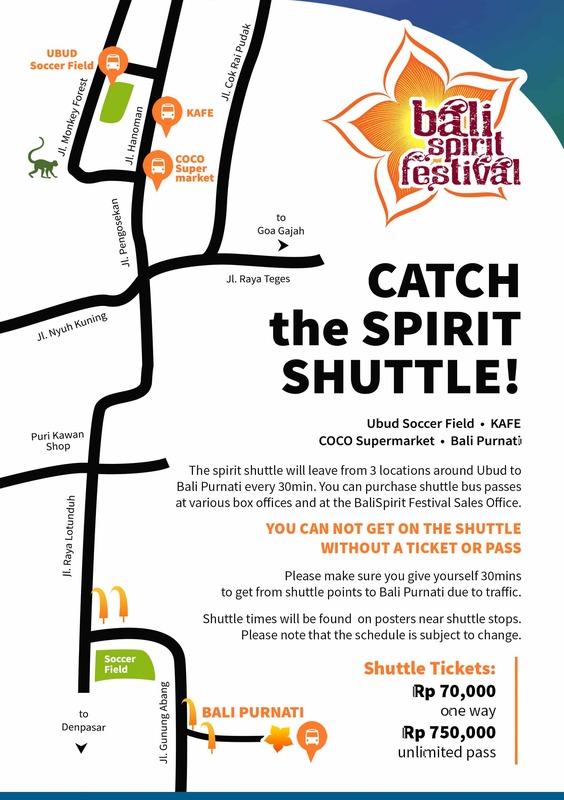 There will be a shuttle service between the town of Ubud and the daytime and nighttime festival venues. 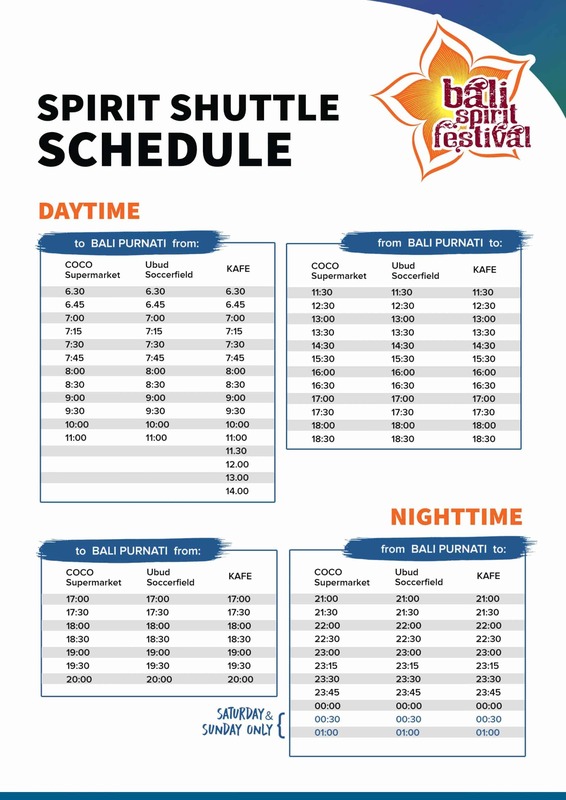 If you want to use the shuttle, then make sure to purchase an ‘Abundance Pass’ or a ‘Spirit Shuttle Pass’ to be able to use the shuttle service.